John Cena tweeted about "hardship" and "loss" on Monday following news that the WWE Superstar and Nikki Bella are splitting up after six years together. "Hardship, loss, and humility are extremely difficult waters to navigate, but perseverance thru them builds a strength to withstand anything life throws your way," Cena said. Bella announced the split on Twitter Sunday. 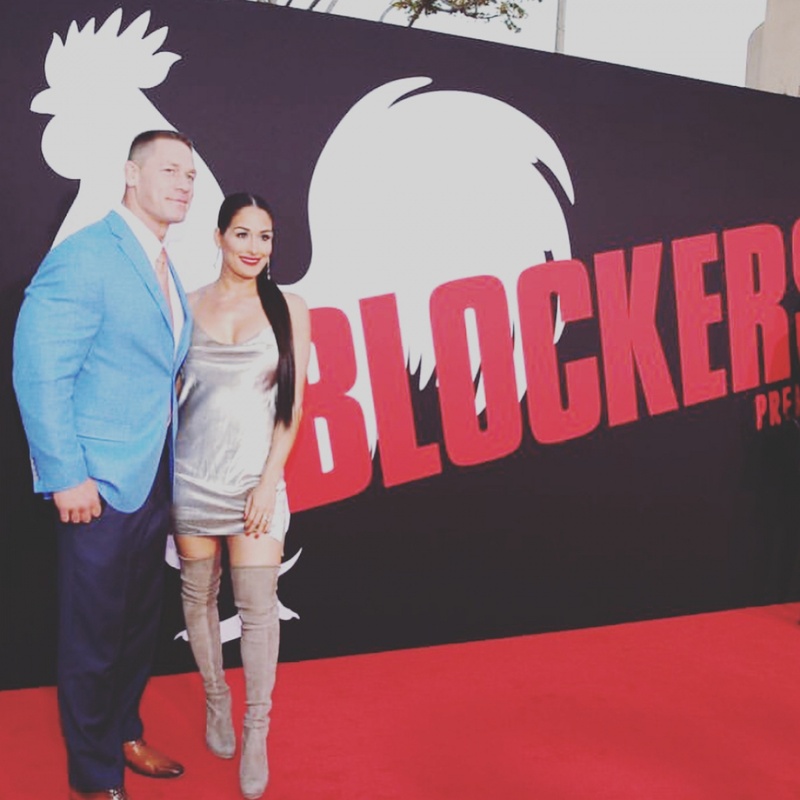 The former WWE power couple were recently seen sharing a kiss on the red carpet for Cena's latest film, "Blockers." Cena famously proposed to Bella in the middle of a WWE ring last year at WrestleMania 33. Cena, on Sunday, posted a a quote on Instagram from poet Walt Whitman that read, "We were together. I forget the rest." Cena then posted a photo of Simpsons character Comic Book Guy alongside his catchphrase "Worst day ever!"